3. Form into patties, put on a baking sheet, and bake for 15 minutes, then turn and bake for another 10 minutes. 4. 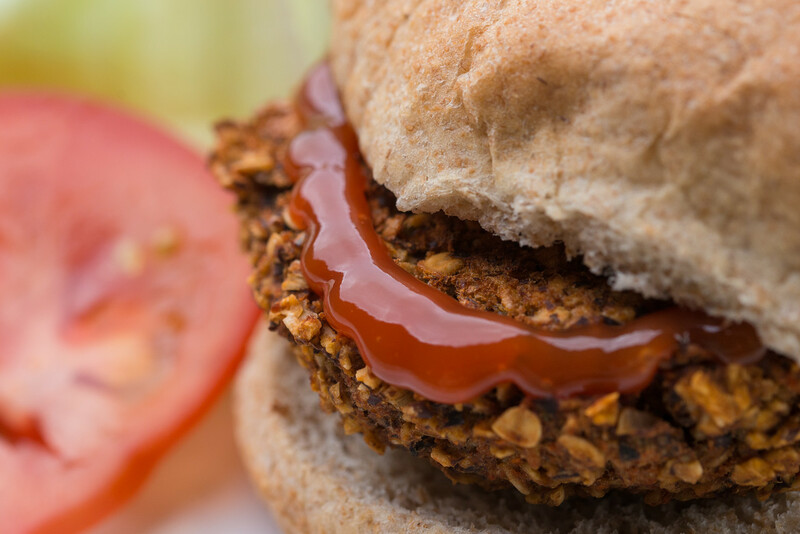 You can also “fry” the burgers in a nonstick pan until both sides are browned – or grill on the barbecue. 5. 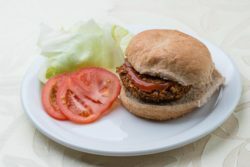 Serve on whole-grain burger buns (the Ezekiel 4:9 brand is especially good) with lettuce, tomato, onion, mustard, ketchup or no-tahini hummus. Hint: For variety, bake using a favorite barbecue sauce. Heat left-overs in a microwave and eat with a bun or bread, or plain with salsa.